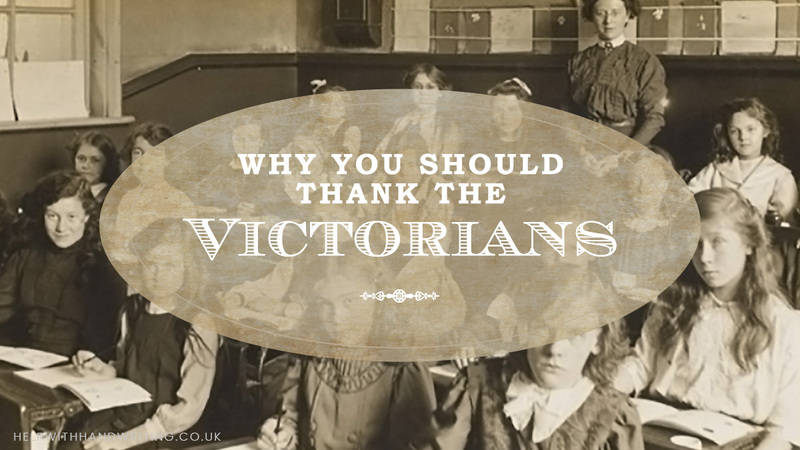 In this post I compare desks in a Victorian classroom with those in a modern school. 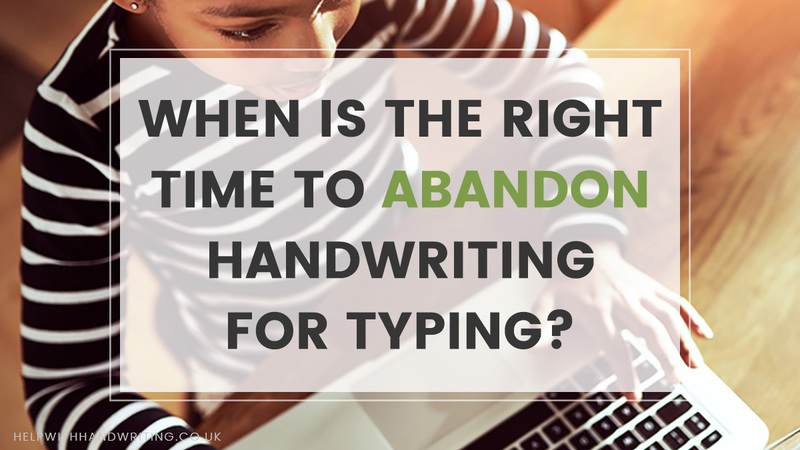 You may be surprised at the results on the children’s handwriting! Perhaps none more so than the very desks children sit at! In Victorian times, all of the children sat at individual desks in rows facing the front of class. And the desks at the back were often higher than those at the front. The desks themselves were iron-framed, made out of wood and were often bolted to the floor. This stopped them moving. Similarly, wooden chairs were often attached to the desks in a fixed position. Fast forward to today and classrooms are comparatively higgledy-piggeldy. Desks are often situated amongst larger table groups, and facing all directions in the classroom. Desks today tend to be flat tables made of a variety of materials, not fixed to the floor. Chairs too are made of many materials and are not connected to the tables. This might seem like an arbitrary matter—after all, it’s just tables and chairs. But actually, those Victorians may have been on to something. In a Victorian classroom the desks always faced the front. Meaning there was no need for a child to twist and turn their heads to face the board or the teacher when learning. As a result, children could write comfortably without twisting. The desk surfaces were often sloped at an angle towards the child. This meant that the child’s wrist was at a more natural position to help them write. It also reduced the pressure on their hand when writing by taking the weight off their arm. Today, the modern day equivalent is a sloping board for children who are having difficulty with handwriting, though most school desks tend to be flat. The desk surface on a Victorian desk was comparatively large compared to today’s desks. Now children sit closely beside their class mates. As children had their own individual desks, they had more space to work on without banging elbows with the child sat next to them. As the desk and chair were often bolted to the floor in a Victorian classroom, children were forced to retain a better posture. Rather than today’s free-roaming tables and chairs. A good posture is vital not only to good health, but also to good handwriting, and some issues with handwriting are a result of poor posture. A good posture for handwriting is feet flat on the floor. Thighs parallel to the floor at 90 degrees. Back up straight. The paper tilted, and the chair not too far from the desk. Victorian desks ensured this posture was maintained. Allowing children to focus on their handwriting. As the desks at the back were often higher than those at the front, so all of the children could see the board without having to stretch or strain, meaning their handwriting was more comfortable. 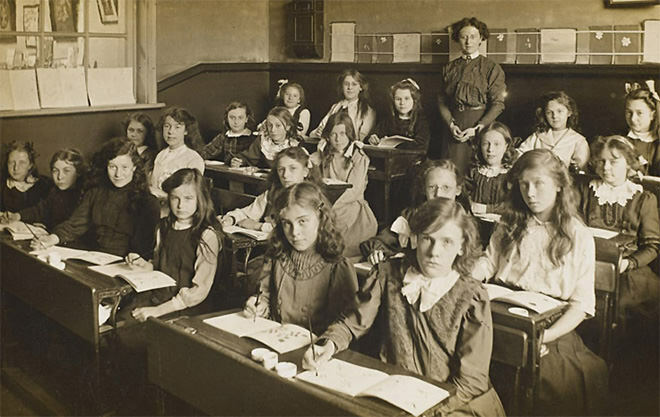 Aside from the desks, in Victorian education, there was a lot more repetition when learning compared to today. This helped “muscle memory”, meaning that children could write without looking at the page because handwriting became second nature to them. When it comes to desks in classrooms, it looks like the Victorians had something write.. I mean “right”! Previous Post: « Handwriting practice for kids. 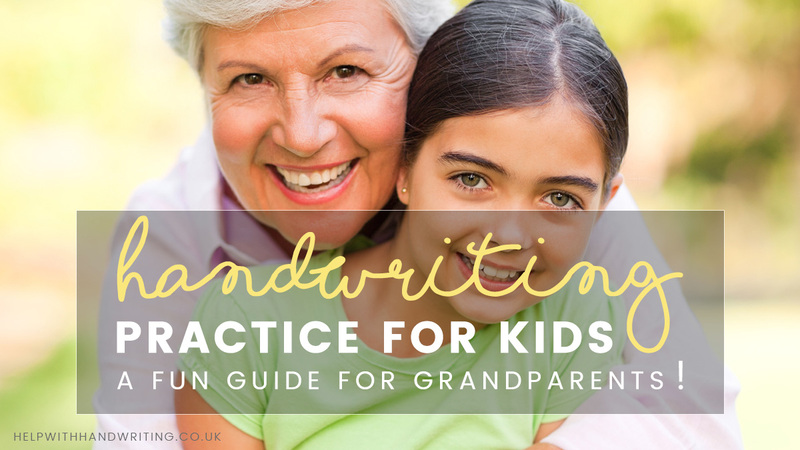 A fun guide for grandparents!